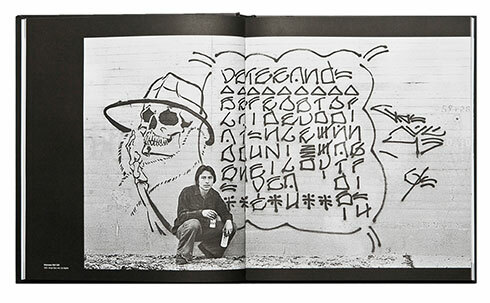 Since he was a young child growing up in northeast LA, the Mexican style, West Coast Cholo graffiti of his neighborhood with its language of defining territory, culture and identity had a profound effect on Charles ‘Chaz’ Bojórquez. He was attracted to the magic and mystery surrounding the culture and the aesthetic. By 1969 he started tagging and created his now legendary character ‘Senor Suerte’, a stylised skull inspired by Mexican folklore and cult of the Holy Death. This was an early example of stencil art being applied to the streets as pure artistic expression. Fascinated by both the sociological and aesthetical aspects of Mexican gang writing with its strict codes of practice, Chaz started to delve deeper into the artistic direction of calligraphy. In his work, he expresses the inner potential and sheer beauty of classical Latin calligraphy by questioning the historical structure of the gestures of letters. 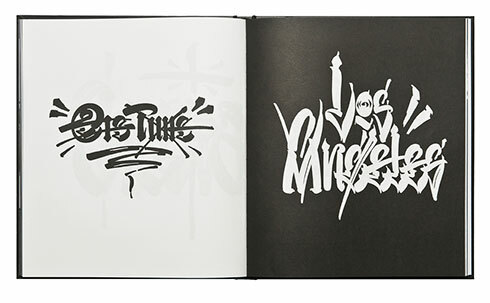 Over the course of his artistic journey he has fused the western and eastern traditions of calligraphy with popular culture to develop a unique style that has influenced a whole generation of street artists, writers and tattoo artists worldwide. Chaz was one of the first writers to mix up typographical characters and styles, by combining psychedelic styles with Fraktur and Chinese calligraphy to create a synthesis of great aesthetic punch. Chaz, who studied at Cal Arts, traveled for three years to gain a greater understanding and knowledge of many different writing systems worldwide. Today, his works can be seen in the permanent collections of the National Museum of American Art and the Orange County Museum of Art as an expression of South Californian, Latino culture. `THE ART AND LIFE OF CHAZ BOJÒRQUEZ’ is an impressive publication documenting 40 years of an exciting and very personal artistic journey that reveals a deep love for the beauty of handwriting. 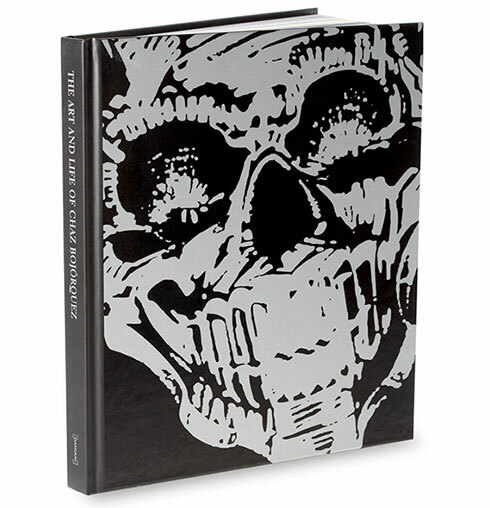 The book is divided into three chapters; with introductory texts by Greg Escalante, Francois Chastanet and the editors, followed by an interview with Chaz Bojórquez and text contribution by Japanese artist Usugrow before leading into the main body dedicated to the artist’s work. Greg Escalante, François Chastanet, Usugrow, Flycat, Marco Klefisch and Alberto Scabbia.